From the small town of Magaliesburg take the Rustenburg Rd (R24). 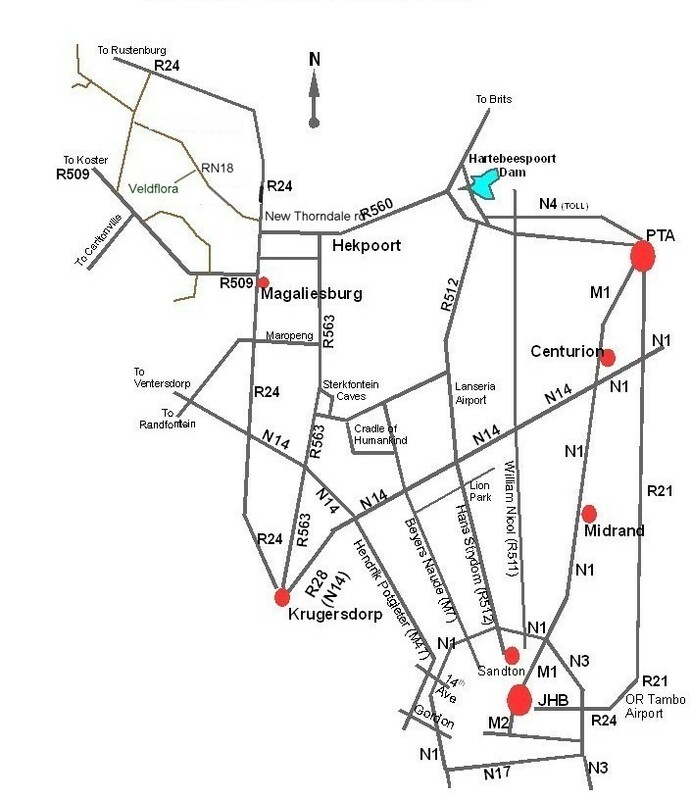 Travel all the way out of town, pass the first Hekpoort, Seekoeihoek, and second Hekpoort turnoffs. The next turn off immediately to the left is the New Thorndale rd, turn left. Travel on the dirt road until you get to farm number RN18, turn left onto farm road. Follow the road until it ends at reception.